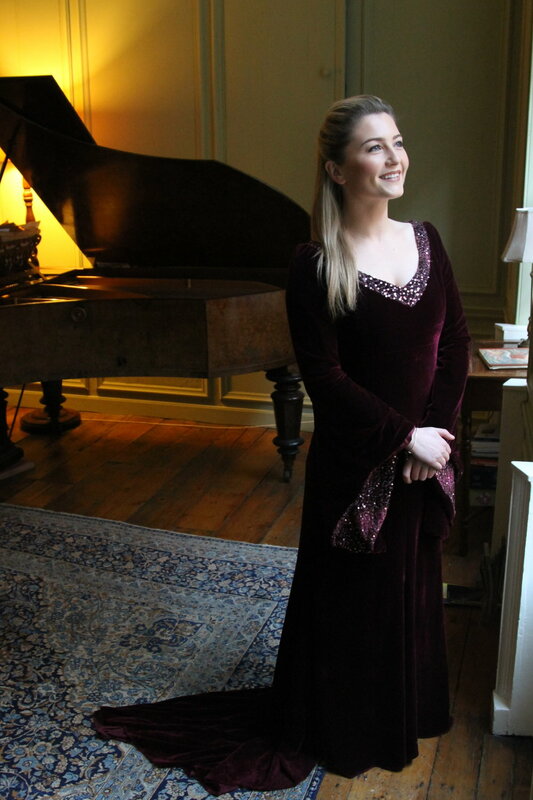 Éabha is a fluent Irish speaker and sean nós singer and when she joined ANÚNA in 2007 she was the youngest member of the ensemble. Her love of the Irish language and its rich seam of traditional song has brought her all over the world representing her native land. As part of ANÚNA she toured Europe and in 2015 travelled to the American Choral Director’s Conference in Salt Lake City where she presented a session on sean nós. She features on the PBS TV Special ANÚNA : Christmas Memories and recorded on the Billboard Hot 100 Album of the same name. She is currently one of the principal soloists with Celtic Woman and in that capacity has travelled all over the world. “When I was 15 years old I joined Anúna. I will never forget the feeling I had that first day that I stood into the group. I can still feel it now as I write this. The body of sound around me totally consumed me and it was magical. I sang the alto line and I couldn’t believe that I could contribute to this sound which was so raw, pure and beautiful.Like waves slowly moving through the ocean, it gave me goosebumps every time. Each singer trusting the other, weaving our way through harmony and rhythm. Those moments of magic made me not just a singer but an artist. And I have Michael, Lucy and John to thank for teaching me so much and inspiring me more than words can depict. My musical mentors for sure! Anúna taught me to just be me and to trust my voice, listen to my body and tell the truth when I sing. I learned to let go and to just go for it. I also learnt so much from the sounds around me. I learnt my craft in Anúna. Anúna is a legacy and my heart and soul will always part of the group.